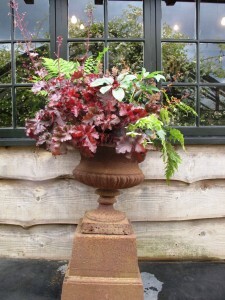 Lovely spring urn with heuchera, ferns and more. After a harrowing taxi ride (one hour for 12 miles?) from London, my mom and I arrived on Wednesday at Petersham Nurseries. And once we discovered what was inside the gates, we concluded that our 40 pound fare was totally worth it! We took the journey in order to meet up with Sarah Statham of Simply by Arrangement, an up-until-now virtual flower friend, who had invited us to spend a few days with her in Yorkshire. She was also in London for the RHS Chelsea Flower Show and made the brilliant suggestion that we use Petersham as a meeting place before driving to Hebden Bridge, where she lives and designs flowers (and more on that later!). 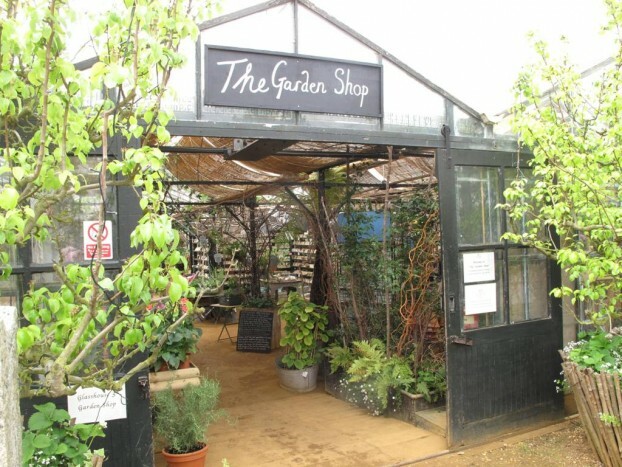 Petersham Nurseries dates to the 1970s when it was a local garden center carved out of the Petersham House estate. After years of neglect, the nursery reopened in 2004 after extensive restorations by Gael & Francesco Boglione, the current owners of Petersham House. 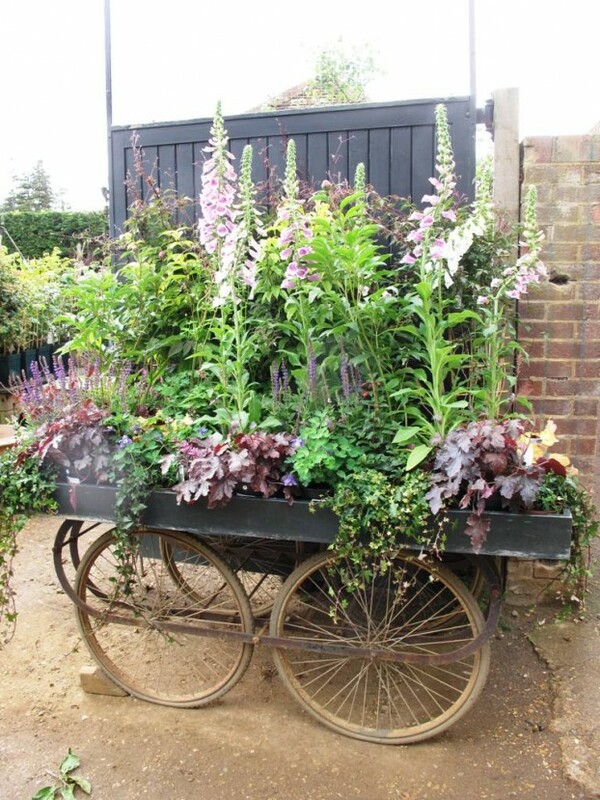 Plant displays on old carts – what’s more perfect? Foxgloves galore! It is spring, after all. 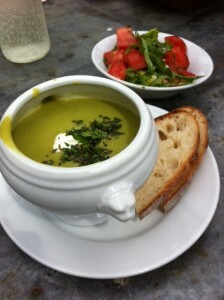 Lunch at Petersham Nursery: pea-and-mint soup with tomato and burrata salad. 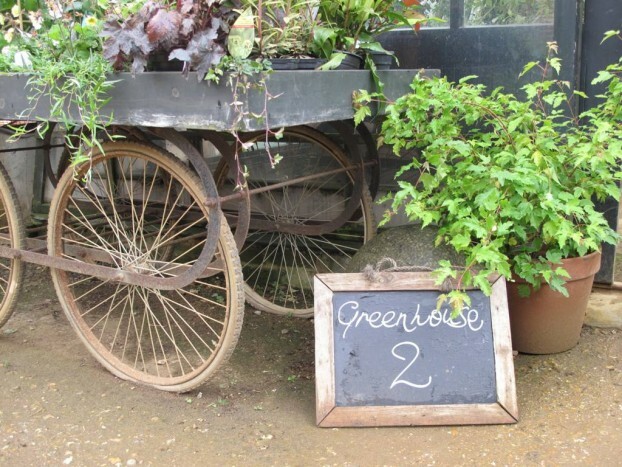 Beautiful garden furniture, gifts, tableware and antiques can now be found amongst the plants which adorn the vintage glass greenhouses. In a ramshackle wooden teahouse we found delicious pastries and homemade cakes (as well as lunch!). There is also a popular restaurant to which I would love to return some day. This is a thoroughly charming destination not far from London. It has history, an obviously talented team of horticulturists, beautiful plants and that timeless character you can’t get in the U.S. The cutting garden, where we met up with Caroline and Rosie. 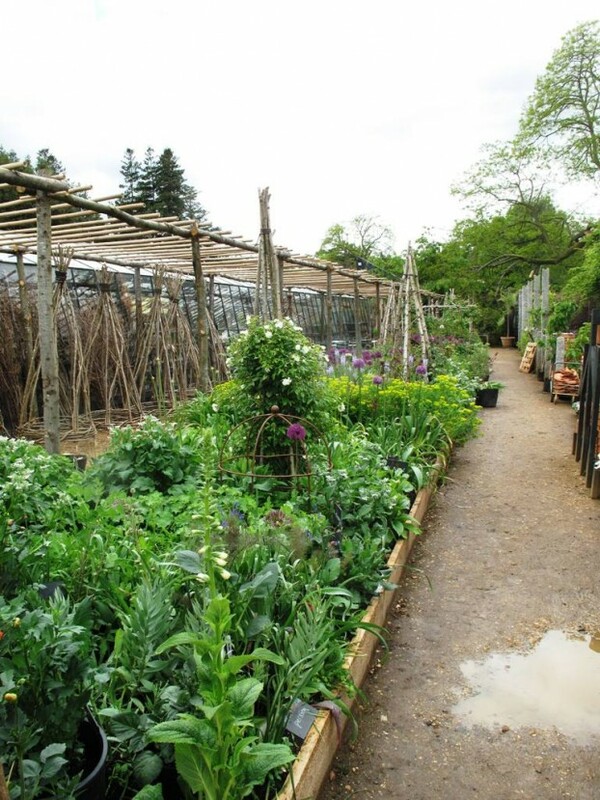 This lovely long raised bed supplies flowers for Petersham House, as well as the Restaurant and Cafe. Sarah planned a huge surprise for us – a private tour of the Petersham House grounds. Her friend Caroline is gardening here as a volunteer, working alongside Rosie, who is the genius behind many of the landscape plantings you see in these images. 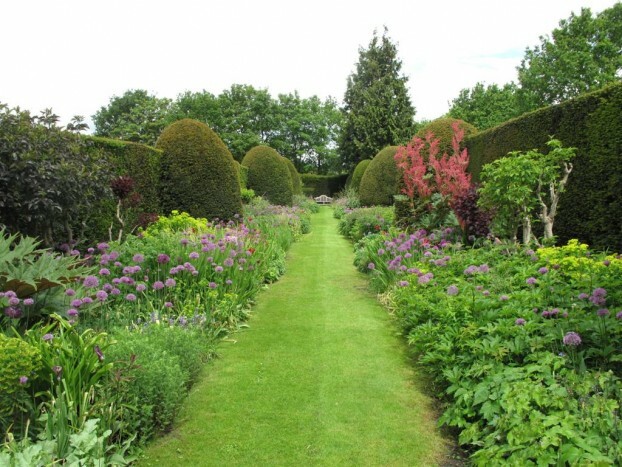 Not much more to say than this: Please gaze upon the beauty of a 150-foot-long English garden double-border in May. Few can replicate this, due to lack of time, money, or land – but please feel free to borrow a few ideas for your own patch! 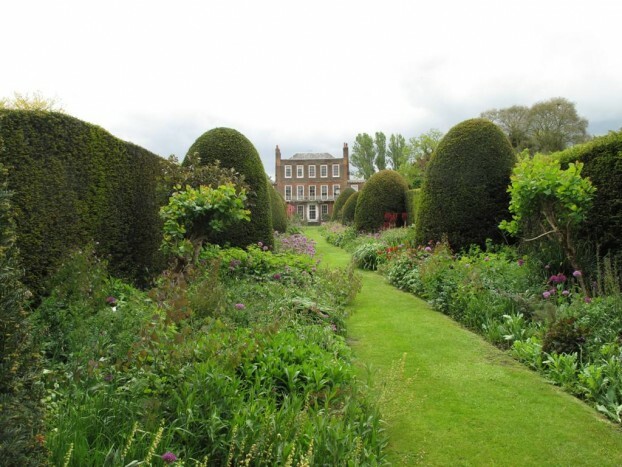 And if you will be in London on June 7th, you can visit the private grounds of Petersham House as part of the National Gardening Scheme charitable program. Petersham House, as seen from the long border. The glorious Petersham double border. Sublime! This entry was posted on Monday, May 25th, 2015 at 4:14 am	and is filed under Blog Posts, Creativity, Gardening, General, Landscape Design, Plants. You can follow any responses to this entry through the RSS 2.0 feed. You can leave a response, or trackback from your own site.